A U.K. government review into automated vehicles has published its findings in a report out today, giving the green light for driverless car technologies to be tested on public roads. The report concludes there are no current legal and regulatory barriers to prevent tests of “automated vehicles where an individual is ready to take control of the car if necessary”. So, to be clear, this is not yet a green light for U.K. roads to be filled with fully autonomous robot overlords sans any qualified human on hand to take the wheel if necessary. The government notes that sort of full automation is likely far further out (“at least the 2020s”). Its early focus for this report has therefore been on “vehicles designed to allow the driver to disengage from the task of driving”, aka ‘hands free’ driving. This makes sense given that fully autonomous vehicles are indeed lurking much further down the road, involving far greater levels of complexity across the board — from the tech itself to a sympathetic and supportive regulatory landscape. Those wishing to conduct tests in the UK are not limited to the test track or certain geographical areas, do not need to obtain certificates or permits, and are not required to provide a surety bond (provided they have insurance arranged). Now this is a little bit of a so-what finding, given that automated parking assistance features are already implemented in cars on U.K. roads. And cruise control, which lets drivers give their foot a break from the accelerator pedal when on the motorway, has been around for decades. However the report dubs those technologies “driver assistance systems”, noting they still involve the driver needing to remain alert in case they are required to take over the controls again. Whereas it is concerned with what it dubs “higher levels of automation” — aka systems that “are designed to allow the driver to completely ‘disengage’ from the driving task and undertake other tasks”. (The report’s use of the term “full automation”, meanwhile, refers to truly driverless cars — a technology that can’t legally be tested on public roads in the U.K. yet, but can be trialled at dedicated testing centers, as noted below). The next step in the government’s driverless tech acceleration plan is for it to introduce a code of practice — to “provide industry with the framework they need to trial cars in real-life scenarios, and to create more sophisticated versions of the models that already exist”. It says it expects this code to be published shortly, in “spring 2015”. 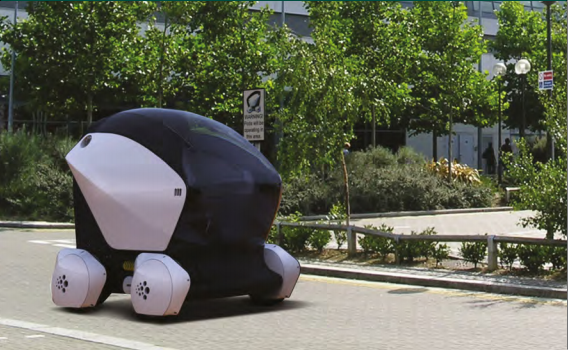 Last summer the U.K. published its first official robotics strategy which called for the establishment of real-world test sites over the next five+ years for kicking the tyres of robotics and autonomous systems. While, back in December 2013, when the government announced it would be reviewing the regulatory landscape to pave the way for driverless cars, it also announced a £10 million prize fund for a town or city to “develop as a testing ground for driverless cars”. The fund has since been upped to £19 million, and London’s Greenwich, Milton Keynes, Coventry and Bristol selected as the test site winners last December. 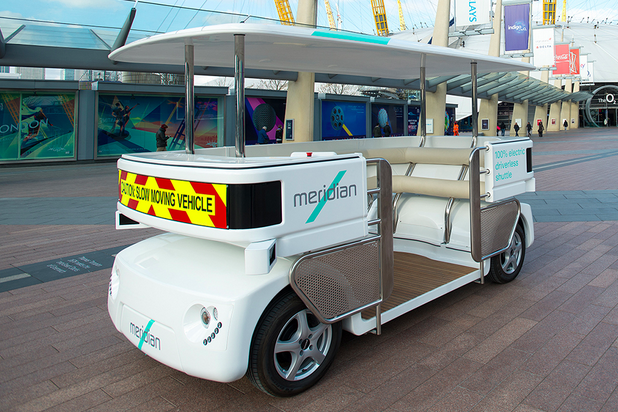 The government says it expects the first driverless cars supported by this prize fund to be tested at those sites this summer — such as the two autonomous vehicles pictured below, set for testing in Milton Keynes and Greenwich respectively. Today’s report also notes that the government intends to work with devolved administrations within the U.K. to “revise and amend legislation to support the introduction of automated vehicle technologies”, and also at the European level — noting it will “liaise at an international level with an aim to amend international regulations by the end of 2018”. “These are still early days but today is an important step. The trials present a fantastic opportunity for this country to take a lead internationally in the development of this new technology,” she added.